The Student-Athlete Advisory Committee’s (SAAC) second annual Lip Sync Battle took place on Tuesday night in Asplundh Concert Hall. A sudden outburst shook the campus of West Chester as the gymnastics team charged center stage to celebrate the occasion. The Lip Sync Battle was an event that brought together the entire athletic program. From athletes to coaches, administration, and even some of our own athletic trainers, the support from the purple and gold community was tremendous. Aside from their contributions to NCAA legislation, SAAC’s primary initiative is to fundraise and contribute on a national scale for the Make-A-Wish Foundation, NCAA Division II’s primary student-based partnership. Should the organization raise $10,000 during the course of a year, they are given the opportunity to host a wish reveal for a local child with a life-threatening illness. The cheerleading team kicked off the show with a rap and hip hop themed routine. Their strong act comprised all sorts of stunts and tumbles, leaving a strong impression on the judges, as they went home with second place on the night. The track and field and cross-country tandem showed up in their 80s gear ready to kick off their Sunday shoes. 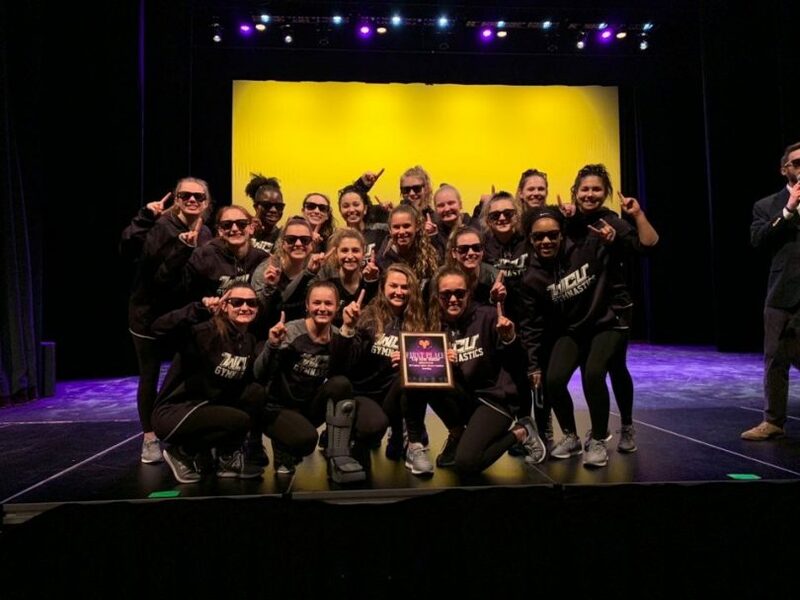 Their renditions of Whitney Houston’s “I Wanna Dance With Somebody,” “Footloose,” and Michael Jackson’s “Thriller” were a hit, as their bright colors grabbed everyone’s attention as well as third place. The football team backed up their PSAC Championship as they took home the fan favorite award, courtesy of their array of breakdancing, flips and tricks. Judges Dr. Tammy James, Academic Coordinator for Student Athletes, Dr. Sharon Began, professor of biology and an Athletic Advisory Board member, and Dr. Chris Przemieniecki, professor of criminal justice and another member of the Athletic Advisory Board, joined the student-athletes to assess and tally the top performances of the night. Team participation, creativity and accuracy of lip-sync were a few of the determining factors. The Student-Athlete Advisory Committee would like to thank those involved for their continuous support of their programs.